Ryan Banta’s classroom in the social studies wing of Parkway Central High School in Chesterfield, Missouri is filled with cross country and track and field trophies and photos of his teams and athletes over the years. Twenty-some years ago, as a football player and sprinter at the school, Banta didn’t see his future unfolding like it has. But after playing football and running track at Carthage College in Wisconsin, and working on political campaigns for a short while, Banta ended up back at Parkway Central, looking to see where life would take him. Banta volunteered to work with the track and field team at his Alma Mater for his now Hall of Fame coach Steve Warren. Almost instantly, Banta’s life path was altered. And with that, a coaching career was off and running, or sprinting. Either way it was took off fast. Banta coached football and track and field at Central, eventually becoming the girls head track and field coach. He traded in football duties in 2010 for cross country, assisting head coach Ken Greathouse with the girl’s program. He took over as head girls cross country coach for a retiring Greathouse in 2013. Early on, Banta quickly developed a thirst for knowledge and sought it out. He wanted to know more about coaching and training methods. He read books, scoured the internet, attended clinics, and made relationships with excellent coaches, and sought their wisdom. It wasn’t long before he was the one other coaches were going to. Among, other coaching education and certifications, Banta earned his USATF Level II coaching certification in the sprints, relays, hurdles, and then added distance running. Besides his coaching accolades, his knowledge and skills show in the results of his teams and athlete’s accomplishments: tons of school records, All-State honors, district trophies, state trophies, state records, nationally ranked performers, and many college scholarship student athletes. Banta also tutored athletes while working with the St. Louis Lightning Track Club and Team Missouri at Great Southwest Track Classic. Parkway Central Girls Cross Country and Track and Field Head Coach Ryan Banta talking with others at the 2017 St. Louis Suburban Conference Cross Country Championships. Banta’s thirst for knowledge and training wisdom is never ending. He’s sought out many of the top minds in track and field and eventually got his turn to start coaching coaches. He spoke at clinics and was invited to write for elitetrack.com and speedendurance.com. He is on the executive committee of the Missouri Track and Cross Country Coaches Association, where he served as President in 2015. At some point, Banta realized there was something missing in the education of sprinting in track and field. There were lots of books and educational resources for distance running, strength and physical training, and sports psychology, but felt not enough resources for speed training. So, with all his research and resources, Banta began to compile the knowledge and set out to write a book, a compendium. A compendium is collection of a field of knowledge. A summary of a large knowledge base, a compilation of work. With the book, and consulting services, Banta wanted to offer the kind of mentorship and support he had received from others. Banta wanted to show with the book the many methods available to improve speed. There is something in the book for everyone to take away to improve themselves and their athletes. Banta says the experience of researching and reaching out to coaches around the world was humbling. He says coaches in cross county and track and field are much more open to sharing knowledge than other sports. In cross country and track, Banta says everyone can succeed. And he’s right. Cross country and track and field are individual and team sport, with many different results. It’s not so cut and dry like other sports where the end result is one team winning and another losing with measurable statistics as afterthoughts. Every performance in cross country and track can be measured and all competitors can improve and succeed. Banta says all coaches and athletes can benefit from the greater knowledge that is shared. In the CC/TF coaching ranks, there is a great give and take attitude. Banta was surprised so many were up for sharing so much, and says that makes them excellent coaches. They also understand that the wisdom they were willing to share must be adapted to fit specific situations and conditions. Banta enjoyed the process of writing the book and learned a lot from it, especially in the areas of business and marketing. Banta developed a daily routine of either writing, researching, or reaching out to others to contribute. After a while, it became habit. Banta needed to work on the book daily, adding knowledge and seeking it. For Banta, completing the book was a life long bucket list item that he’ll always be proud of. Banta says everyone will find something valuable in the book. It’s not necessarily meant to be read from front to back in a few sittings, but as a resource to go to, time and time again, to certain chapters when you need to. The biggest thing Banta learned through the process, was just how many different training methods can be used to be successful at improving speed. He knew there were plenty, just not as many as he discovered. Banta says which methods used depends on the athletes at the time in their specific conditions. Banta says the idea of the book is to give you options. He lays out the foundation for speed training in the book, and you build based on the needs of you and your specific athletes. Banta says all runners and in fact all athletes that run can benefit from improved speed. So this book isn’t just for runners or sprinters. If one’s sport involves running, that person can gain something from Sprinters Compendium. The book is available in hard back from vervante.com at: http://store.vervante.com/c/v/V4081803315.html or can be published at Amazon.com or in Kindle form from Amazon.com. 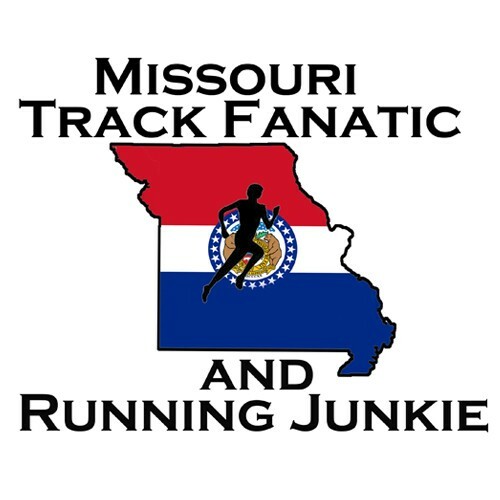 Banta will be at this weekend’s Missouri Track and Cross Country Coaches Association clinic in Columbia, MO. Thursday evening thru Saturday morning selling the book. MTCCCA Clinic Info here: mtccca.org The book is priced at $65 and will be discounted to MTCCCA Clinic attendees this weekend.